the reference chart I have shows bulb number 1816 but also shows number 1893. I ordered some off amazon a long time ago, they came in packs of 20. Problem with some of the LED bulbs is that they are too fat to fit into the receptacle. You might have to get several until you find something that fits. 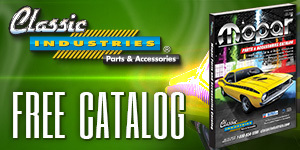 Do you get the catalogs from Classic Industries? There is a bulb reference guide in the back of every one. No, the Classic Ind. listed both bulbs for an instrument cluster in a 70 Cuda/Challenger, go with the 1816 number. There are lots of LED bulbs on Amazon that have the same mounting architecture as a 1816, however many of them are too wide or fat to fit where you want to put them. I ended up order 2 or 3 different ones before I found something that fit. You can get them colored as well but you already have a green filter in the housing so I would get white. I bought a kit from Herbs Parts and the ones in the light bar look like these BA9s ones. Scroll down to the specifications section and under Stock Numbers: 1816 & 1893 are listed there. I'd shop around to see if it's possible to get them cheaper, 4 bucks a bulb seems high to me. I used 4 BA9s green LEDs from Superbright for my ‘70 Challenger Rallye dash with green panel. Read somewhere the bulb should be the same color as the lens color. A little tight fit but they do fit without any modification and are able to be dimmed. They’re nice and bright.